Butternut Squash Soup | Om nom nom! 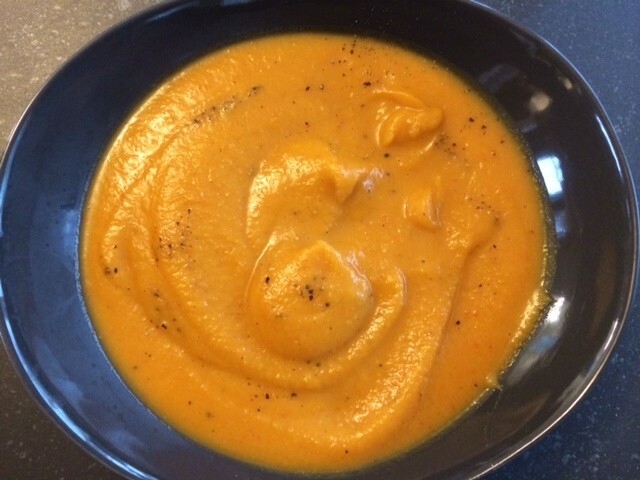 Shawn makes the best soups, and this butternut squash with an array of different veggies was definitely right up there with my favorites he’s made. This makes a lot, is very adaptable, and *very* filling. We had this with some garlic flatbread crackers for dipping, but honestly this is so filling that a side isn’t needed. Great for lunches! Steam all vegetables until soft. Put vegetables and all other ingredients in pot on medium heat, use immersion blender to puree everything until smooth. Leave on heat until heated through and ready to serve – longer is better.